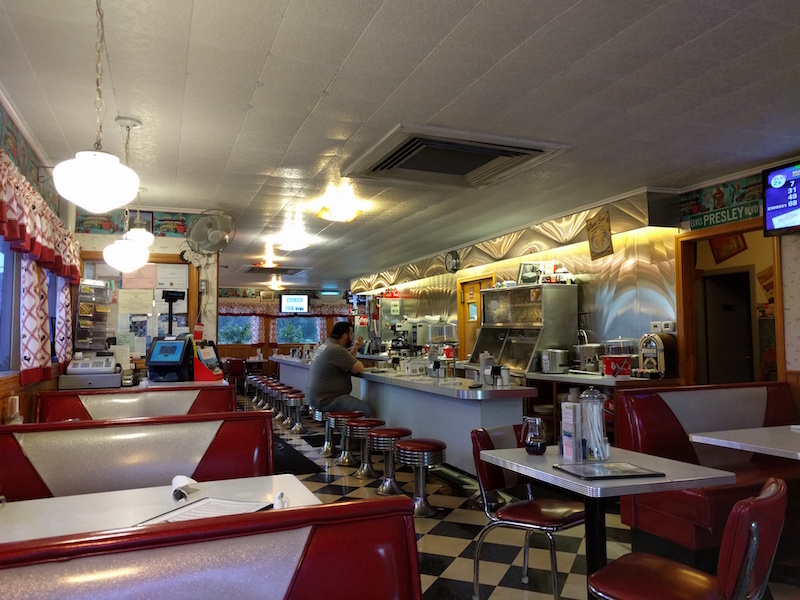 Cindy's Diner & Restaurant is in Scituate, Rhode Island (right outside of Providence). 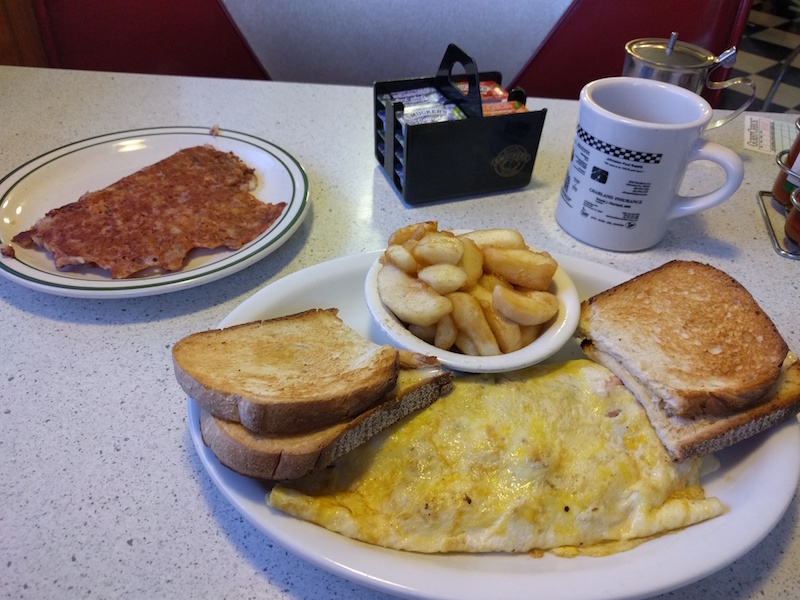 If you're heading into Providence, be sure to stop in for a delicious breakfast, lunch or dinner served in a classic diner. My hotel was in the same parking lot as Cindy's, so it was an easy choice for dinner. I had the special Shepherd's pie served along with a dish of gravy. Very tasty and very filling. Don't forget dessert! 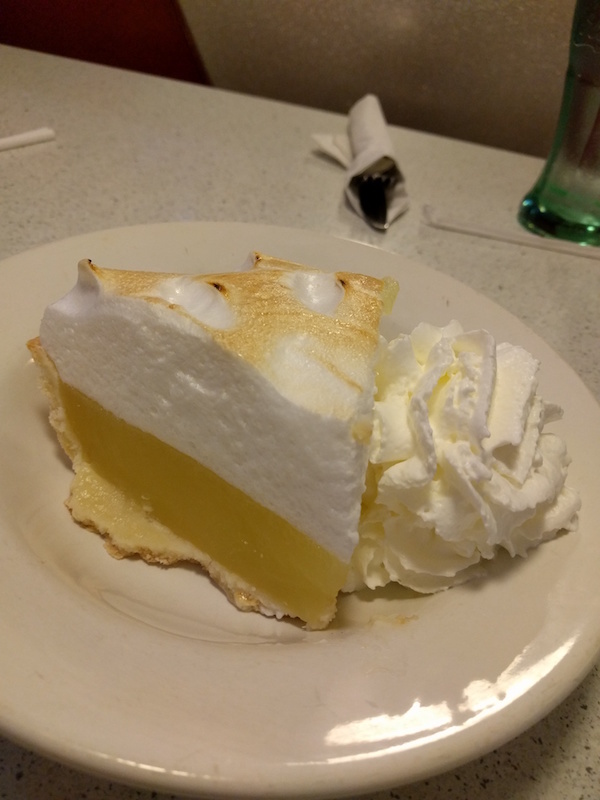 I had a slice of lemon meringue pie. Dinner was so good that I decided to head back the next day for breakfast. The friendly waitress suggested I get the ham, which is served in thick slices which I had diced into my omelette. Another hearty and tasty meal! 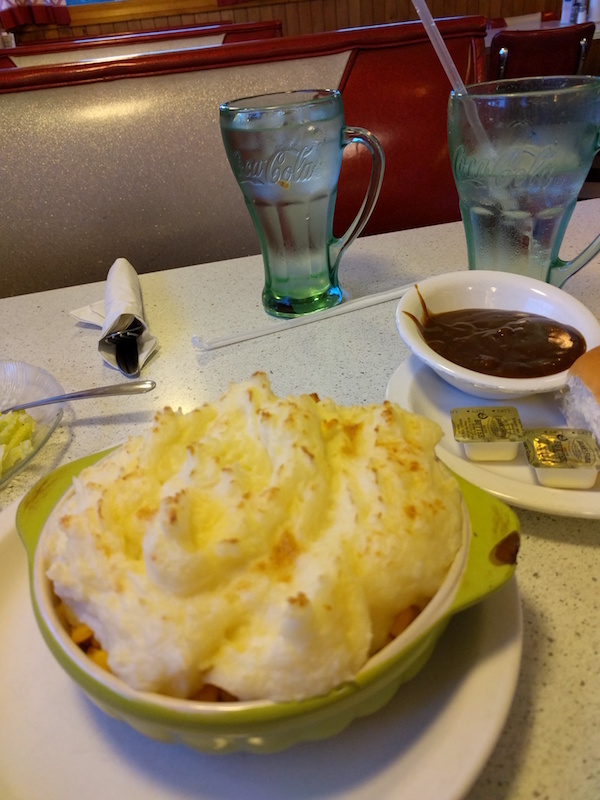 She also suggested the homemade corned beef hash, which was excellent. It was thin and fried crispy which is just the way I like it best. Cindy's is listed in a new book called Rhode Island Diners Today by Raymond A. Wolf. Be sure to get a copy of this book if you enjoy retro diners and restaurants, and you are anywhere near Rhode Island (or even if you just enjoy reading about diners). The book is very complete, and has a lot of interesting historical detail about each of the diners. 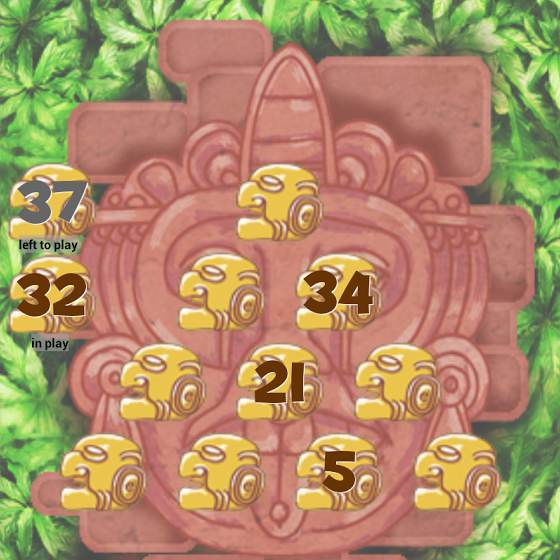 Lots of pictures, too. Get a copy on Amazon or from the author's web site.